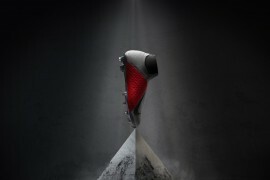 Footy Boots was front and centre in London last night as Nike launched the eagerly awaited Superfly II. 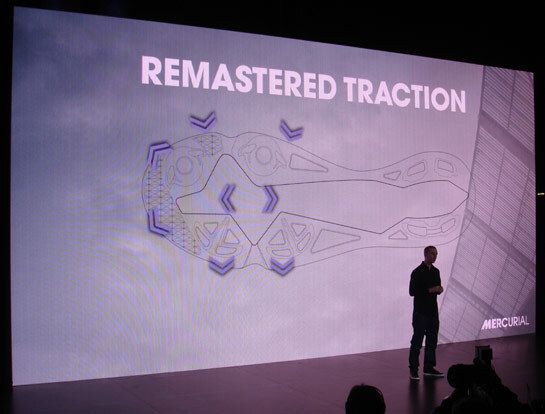 Battersea Power Station was transformed in to a truly unique space as Cristiano Ronaldo along with Nike big-wigs and designers revealed the football boot to around 300 members of the media. We managed to get some fascinating interviews which we will be sharing with you soon but in the meantime, we thought you’d like to see our pictorial history of a very interesting evening. I like what they’ve done to the place! Nike use Battersea Power Station as a very special canvas to display the Superfly II. Stand by your beds! The talent is on site. Mark Parker, President and CEO of Nike Inc. addresses the assembled throng. A man with one of the best jobs in the world, Nike Design Director Andy Caine, explains some of the technical aspects of the new Superfly II. Here’s one he made earlier. Flown over specially for the event, probably not in EasyJet economy, Real Madrid and Portugal star Cristiano Ronaldo takes to the stage. Cristiano takes questions from the audience. What is your favourite colour and what do you think of Labour’s plans for the NHS strangely don’t arise. Does anyone know who this belongs to? I found it lying by the table with the sausage rolls on. And here’s what all the fuss has been about. 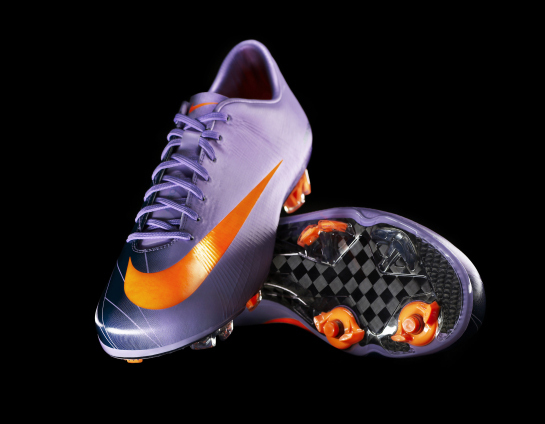 The brand new Nike Mercurial Vapor Superfly II. 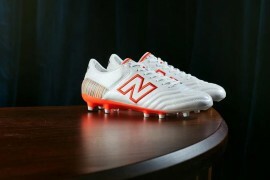 On pre-order in late March on available for retail in April for £275. Find out all you need to know about the Superfly II. Superb images. Nike obviously dressed the venue very well. Good captions too! LOL at the sauage rolls line. Sensational photos. 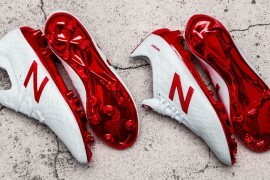 Boots will have to grow on me though as will my wage packet – Ăâ€šĂ‚ÂŁ275!! Must have been a fab event with CR there. Great photpgraphs and good captions! easyjet economy. Priceless. 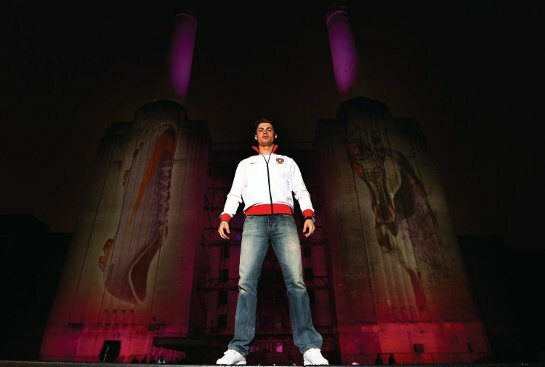 Nice pictures – the old Power station looks awesome lit up with the boots – Nike really know how to throw a party! You know…it’s nice to have a read with a bit of humor! If I wanted a boring play-by-play I’d go on the Nike website! Sausage Rolls line was great! Nice pics – Are there any more pics like the ones from the twitter? I was following all yesterday evening and I loved all the pics of the old Vapors – so many good memories! How can it be that the new Superfly is Ăâ€šĂ‚ÂŁ25 more expensive than the original 100% carbon-fibre Superlight, which was a prototype made in just 2000 pairs!? That’s beyond me..
What r those white kicks CR is wearing? anyone? Of course they are ugly,BUT HEY! ItĂâ€šĂ‚Â´s nike. Of course everybody likes them! Of course they are ugly,BUT HEY! ItĂâ€šĂ‚Â´s nike,so everybody likes them! 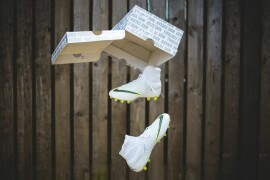 Pingback: SUPERFLY REMEMBERED: IDEA AHEAD OF EXECUTION?